After a work injury, the goal of every worker and employer is a safe and expedient return to work. Often, this goal is achievable. In 2015, there were over 900,000 injury cases that resulted in missed work across the U.S. Fortunately, workers often returned after a brief time off, with the median days of missed work at eight days. Getting back to work can be a difficult and complicated process for some workers, however. Frequently, employees must complete rehabilitation to heal enough for work. Often, while an employee is cleared by a doctor to work again, the type or amount of work they can do is restricted. Sometimes, the employee and employer can work together to find an appropriate way to make this happen. This is impossible in some cases, however, and workers may suffer a loss of income because of the restriction placed on their return to work. For those employees, Ohio offers living maintenance benefits to help address this gap in income. The bureau of workers’ compensation, the worker’s managed care plan, and the state vocational rehabilitation office can work together to help find the right program and coordinate benefits to enroll injured workers. Without these programs, however, it may not be possible to obtain either LM or LMWL benefits. Living Maintenance – Payment is offered instead of temporary total disability and is limited up to six months. Sometimes, the employee is paid by a third party for activities completed as part of the vocational rehabilitation. That compensation must be signed over to the Bureau of Workers’ Compensation. The 2018 LM weekly payment minimum has been set by Ohio at $466, though compensation can be greater depending on your case. Living Maintenance Wage Loss – Payment is offered on a similar schedule to regular wage loss benefits and is available as a percentage of the difference in income earned before and after the injury. When a full and expedient return to work is impossible, the Ohio workers’ compensation system has a few different options available to help injured workers avoid financial hardship. Every case is unique, however, and an experienced workers’ compensation attorney can help you and your family understand your rights and seek the most effective benefits. 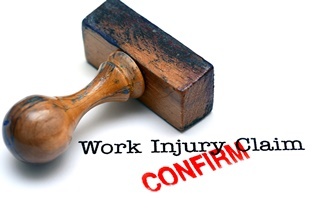 At Monast Law Office, attorney Jim Monast and his staff are dedicated to protecting injured Ohio workers and helping them obtain the maximum compensation. Fill out our online contact form today to schedule a free consultation to receive the benefits you deserve.